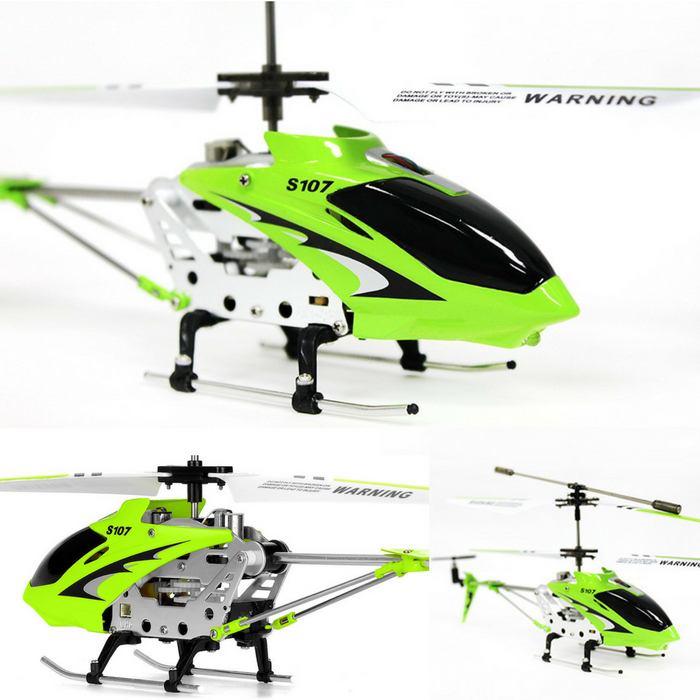 Syma Channel RC Helicopter With Gyro Just $21.99! Down From $40! You are here: Home / Great Deals / Amazon Deals / Syma Channel RC Helicopter With Gyro Just $21.99! Down From $40! Hop over to Amazon to score this awesome Syma Channel RC Helicopter With Gyro for just $21.99 down from $39.99 PLUS FREE shipping with Amazon Prime or for orders over $25! The new Syma S107 is a 3 channel mini indoor co-axial helicopter. This model comes equipped with a high grade metal body frame and a built in Gyroscope which is used to stabilize the helicopter’s heading. This model is miniature in size and its light weight makes it incredibly portable. It offers a wide infrared control and has a customized design for indoor flying. It is controlled by a 32-Level high precision speed controller, which automatically stabilizes the rotor blade system for steady lift off. The Syma S107 is a great model for all beginners, from kids to adults! Makes a great holiday gift! Hurry before the deal is gone!